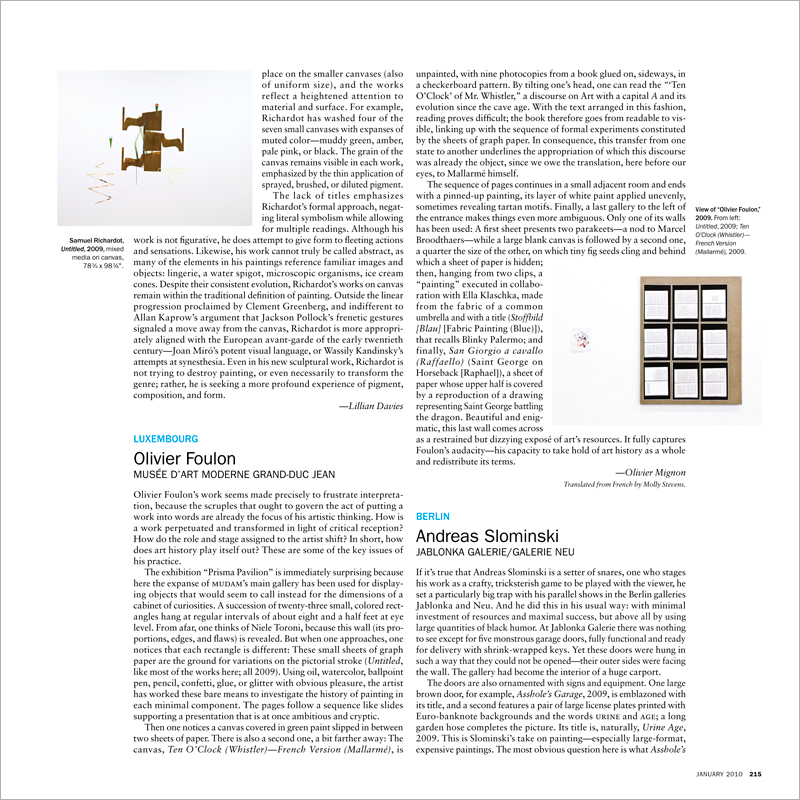 If it’s true that Andreas Slominski is a setter of snares, one who stages his work as a crafty, tricksterish game to be played with the viewer, he set a particularly big trap with his parallel shows in the Berlin galleries Jablonka and Neu. And he did this in his usual way: with minimal investment of resources and maximal success, but above all by using large quantities of black humor. At Jablonka Galerie there was nothing to see except for five monstrous garage doors, fully functional and ready for delivery with shrink-wrapped keys. Yet these doors were hung in such a way that they could not be opened—their outer sides were facing the wall. The gallery had become the interior of a huge carport.